Almost 15,000 collection items nowadays create the Collection of Modern and Contemporary Drawing, which was formed from the SNG Collection of Drawing. The largest and most comprehensive collection of its kind in Slovakia is focused predominantly on the artists of Central European and Slovak origin, created in various techniques and drawing styles on paper. It also incorporates a considerable part of the works of significant Czech and foreign artists (M. Aleš, I. J. Repin, J. Rippl-Rónai, O. Kokoschka, M. Jiránek, W. Nowak, J. Štyrský, J. Šíma, A. Šimotová and others). 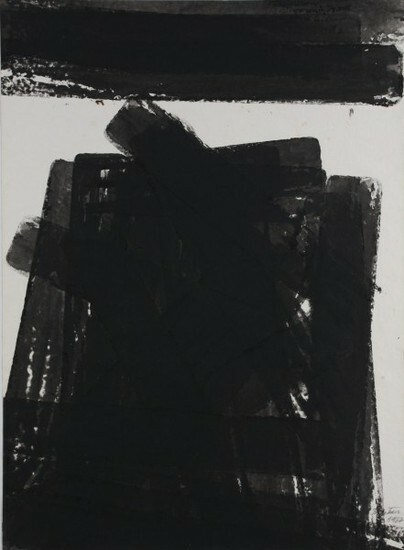 The collection incorporates not only sketches but also more elaborated aquarelle and gouache studies on paper, which, thanks to their directness, played a significant role in modern art through innovation taking place on the boundary between drawing and painting. Although these works frequently originated as research of shape and composition in numerous versions for later painting depictions, many of them preserved their autonomy and are valuable documents of the baselines of their artists. This is also true for many preparatory drawings for graphic sheets or sculptures (drawings of A. Stróbl, J. Kostka, R. Uher). Book illustrations of various qualities, which constitute a large section of this collection, are perceived as an overlap of free drawing and applied art. The collection of works dated after the middle of the 20th century is outlined differently than the collection of modern drawing up to 1957. To a great extent the collection is focused on applied drawing - illustration. This is due to the fact that since 1967, the gallery has organized the popular Biennale of Illustrations Bratislava on its premises and, up to 1989, significant expert attention was paid to the illustrations of children's books. The works of such artists as M. Benka, Ľ. Fulla, J. Čapek, A. Brunovský, A. Klimo are among the most significant sets of illustrations. A large set of portraits and caricatures of figures of cultural life and period artists, self portraits, which adds life and enriches the collection, all belong to genre drawing. The collection also incorporates valuable sketchbooks of Slovak modern artists (M. A. Bazovský, M. Galanda, E. Nevan, E. Špitz). 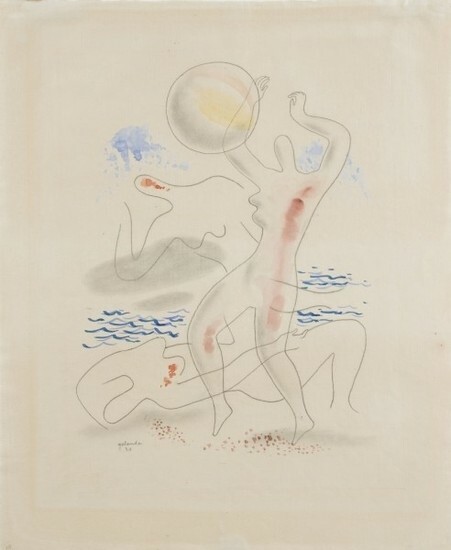 Thanks to the intimate nature of the medium of drawing, which has been a vehicle of the creative element throughout the entire history of art, the collection maps formal specifics and themes related to local avant-garde exploits and monitors the wide stream of tendencies of Modernist fine art. It documents not only the artistic thinking and its transformations from the beginning of the revolutionary 20th century, but also the forming of fine art opinions of artists in the context of the social-cultural state of the country. These opinions affected the practice, production and purchases of politically involved creations up to 1989. That was true especially in the 1950s when socialist realism was promoted as the aesthetic instrument of the totalitarian regime and during the period of normalization in the 1970s, when sexless illustrative figuration became the officially preferred genre as the heritage of sorela (socialist realism). Themes and their iconographic structure, in the thoroughness offered by this collection, constitute significant research material on the development of Slovak art of the 20th century in the contexts of history of art and culture; it includes transformed religious symbols in connotations with the present life of people (for example Perníková Madona (Gingerbread Madonna) by Ľudovít Fulla from 1952), themes dictated by the requirements of official socialist fine art dogma or mimicry of artists escaping this pressure in variations of classical genres from the history of art (for example bouquets, still lives and nudes of Ján Mudroch). The building of separate collection of drawings of old and modern art began upon the founding of the SNG in 1950. The Luministic aquarelle Deti na lúke (Children in the Meadow), by Gustav Mallýaround 1910, one of the fathers of modern painting in Slovakia, who achieved the thorough building of shape by Cézanne-like geometry later in his life, was its first work (K1) acquired by a purchase from private owners six months after the founding of the institution. The following acquisitions (not only in drawing) were based on the target-oriented effort of the expert board of trustees to compile an integral collection of older and modern art, but at the same time to regularly supplement the collection by the works of contemporaries. From the first years of its existence, the gallery collection expanded through transfers from state institutions and purchases from private owners, artists and their families, sometimes from significant exhibitions. For example, in February 1950 the drawings of the so-called war generations of artists that were active at that time, L. Čemický, V. Hložník, T. Tekel, J. Želibský and J. Mudroch, were also acquired from the Contemporary Slovak Art exhibition in Prague. The collection gradually accumulated an excellent selection particularly regarding the artists of the first half of the 20th century. It includes the works of the artists active by the end of the 19th century in Munich-Budapest realism (J. Hanula, G. Angyal), the Central European variation of Impressionism and Luminism in open air landscape painting (L. Mednyánszky, M. Schurmann, Ľ. Csordák, E. Halász-Hradil, K. Lehotský, I. Žabota) and folk-descriptive and townsmen figural studies (J. Augusta, J. Uprka, G. Mallý, Ž. Duchajová-Švehlová). The influences of Art Nouveau are documented by the drawings of P. Július Kern, A. Jasusch and K. Kövari-Kačmarik and the inclination towards Expressionism is obvious, especially in the charcoal and pastel works of K. Bauer and K. Sokol. The monumentalizing figurativeness of paintings, gouaches and pastels of M. Benka and his followers, E. Gwerk, Z. Palugyay, is also based on the Art Nouveau and Symbolism baseline; M. A. Bazovský and J. Alexy opened another chapter of work with the line, composition and re-evaluation of the folk theme. 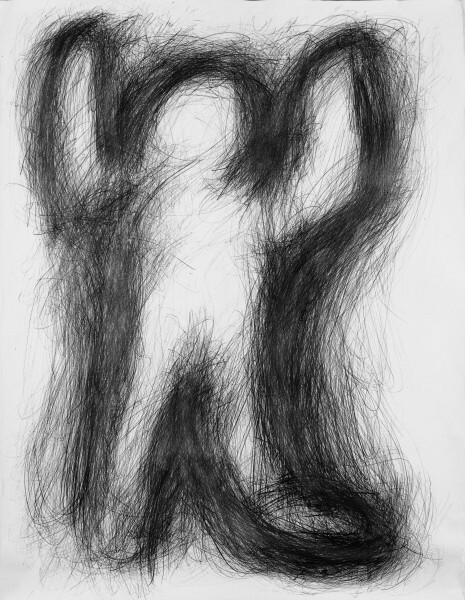 Drawings by K. Harmos, A. Weisz-Kubínčan, I. Weinera-Kráľ, J. Bauernfreund and E. Nemes reflect the expressive-surrealistic influence. Ľ. Fulla and M. Galanda, the most significant representatives of avant-garde in Slovakia, are also represented by extensive sets of works. Fulla's work is represented by a range of artworks from stage designs in the spirit of Bauhaus up to extensive illustrations. The drawings of E. Šimerová-Martinčeková, based on French Constructivism, are interesting addition. The collection of drawings capturing the second wave of artists of modern Slovak painting with an inclination to Civilism include works by L. Mrázová, E. Nevan, B. Hoffstädter, J. Želibský and artists connected with the surrealistic movement - C. Majerník, J. Mudroch, P. Matejka, L. Guderna and others, eventually including even the works of younger artists with a distinctive drawing style, V. Hložník and E. Zmeták. In the collection from the second half of the 20th century, the material dated after 1957 captures the traces of the most significant post-war tendencies, which are developed by the activities of the members of the group Konfrontácie (Confrontations) and the Group of Mikuláš Galanda. The nature of drawing as an interdisciplinary medium able to become a platform for experiment with visual figurativeness and intellectual games was manifested in its fullness in the art of the Neo-Avant-garde schools. The collection maps the shift of the focus of the work from the theme to its creation, material essence (informel) or idea (conceptual art). It contains studies by artists working with archetypes in sculpting and painting (R. Uher, J. Kostka, E. Semian, M. Čunderlík, A. Rudavský, M. Laluha, and P. Tóth), new figuration (R. Krivoš, J. Jankovič, J. Filo, A. Sigetová, M. Paštéka, D. Králik, V. Popovič) and geometrical abstraction (M. Dobeš, R. Urbásek, Š. Belohradský, P. Binder, and D. Binderová). For some of them it also maps their gradual development as artists in several tendencies, characteristic for Central European Modernist art. At the same time, the ironic surrealism of K. Baron and the imaginative tendency typical for the middle stream of Slovak graphic art from the 1970s (A. Brunovský, D. Kállay, V. Gažovič, R. Brun) was widely applied in drawing. The works of conceptual art such as the scores of new "Cageian" music by M. Adamčiak from 1966, conceptional sculptures and other works by V. Havrilla, text diagrams by J. Koller and the Cosmos series of drawings (1971) by S. Filko, prospective projects by J. Jankovič, concepts by the sculptor J. Meliš, scores by D. Tóth, conceptual drawings by M. Kern, O. Laubert and the large format ZOO Bratislava (1981) by P. Bartoš as his other projects and the cycle of maps by P. Kalmus are also represented in the collection. The more intimate techniques of artists of analytical painting from the circle of the pedagogue R. Fila (M. Bočkay, K. Bočkayová, M. Meško, and I. Minárik) and the special contribution of action and diary drawing by I. Kalný in a larger set of works also found their application in this collection. Examples of the contemporary art that uses drawing in a new context with other media, the acquisitions of the work of D. Lehocká, who experimented with artistic techniques (for example, drawing by slat), the work on paper by E. Binder, which are sprayed by acrylic spray paints, and diary drawings of S. Mikyta, are worth mentioning. The future of the collection anticipates further additions of older works of Slovak art, particularly from the second half of the 20th century, as well as contemporary works from the past two decades, in which the long-term expansion of drawing in the space, in connection with the penetration of the new media and technologies in the visual art practice, is applied. Bratislava, SNG, 17 December 2002 - 21 April 2003. 1950 - Collected purchase of drawings of Mikuláš Galanda, Zolo Palugyay from the 1920sand 1930s. 1952 - Collected purchase of drawings of Cyprián Majerník from the 1930s at the 10th purchase commission. 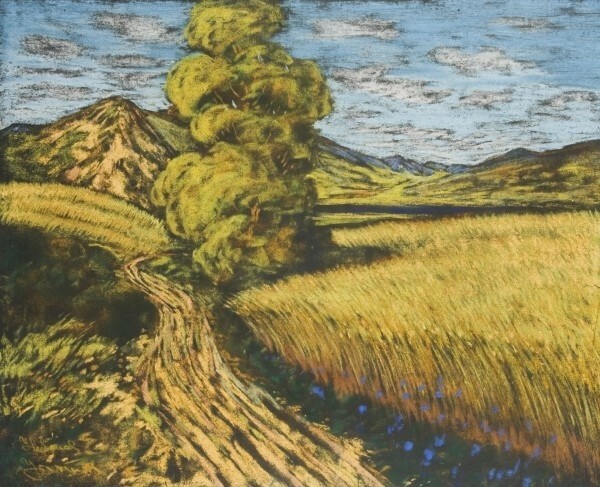 1954 - Acquisition of the pastel Summer (1934 - 1940) by Anton Jasusch at the 17th purchase commission. 1960 - Collected purchase of drawings of Ester Šimerová-Martinčeková from the 1930s at the 38th purchase commission. 2003 - Collected purchase of Stano Filko's Cosmos I. - VI. Cycle (1971) at the 225th purchase commission. 2009 - Donation of the estate of Július Koller from Kveta Fulierová in 2007 and the purchase of other parts of the estate for a nominal fee.